This year I grew a pumpkin. 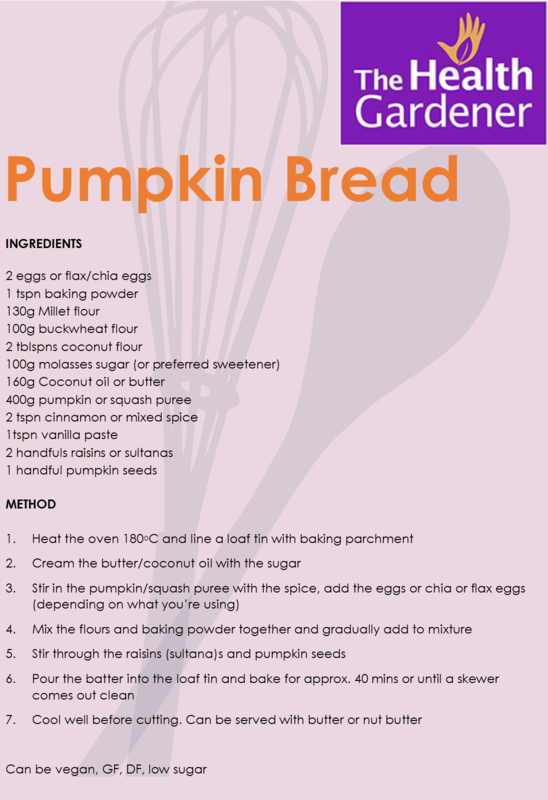 Admittedly it wasn’t a very big pumpkin, but I was determined to use it to make something nice and this is what I came up with – Pumpkin ‘Bread’. This recipe is gluten free and can be dairy free and egg free (so vegan), I’ve given you options to use different ingredients. 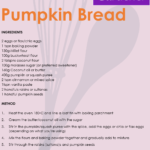 It takes very little time to make and you can use either pumpkin puree or squash puree as they are very similar. This is an easy recipe so would be a great one to try with the kids. Make sure you cool well before you slice and try serving with some butter (if you eat dairy) or nut butter. Hope you enjoy.